Christchurch Massacre: What is to be said about the murder of innocents? What is to be said about the murder of innocents? That the ends never justify the means? That no religion or ideology transmutes evil into good? That the victims are never to blame? That despicable, cowardly violence is as much the product of reason as it is of madness? Sometimes… mute, sorrowful silence must suffice. Sometimes… words fail and philosophy has nothing to add to our intuitive, gut-wrenching response to unspeakable horror. Thus, we bow our heads in silence… to honour the dead, to console the living, to be as one for the sake of others. In that silence… what is to be said? Yet, I feel compelled to speak. To offer some glimmer of insight that might hold off the dark — the dark shades of vengeance, the dark tides of despair, the dark pools of resignation. So, I offer this. Even in the midst of the greatest evil there are people who deny its power. They are rare individuals who perform ‘redemptive’ acts that affirm what we could be. Some call them saints or heroes. They are both and neither. They are ordinary people who act with pure altruism – solely for the sake of others, with nothing to gain. One such person is with me every day. The Polish doctor and children’s author, Janusz Korczak, cared for orphaned Jewish children confined to the Warsaw Ghetto. At last, the time came when the children were to be transported to their place of extermination. Korczak led his children to the railway station — but was stopped along the way by German officers. Despite being a Jew, Korczak was so revered as to be offered safe passage. To choose life, all he need do was abandon the children. At the height of the Nazi ascendancy, Korczak had no reason to think that he would be remembered for a heroic but futile death. He had nothing to gain. Yet, he remained with the children and with them went to his death. He did so for their sake — and none other. In that decision, he redeemed all humanity — because what he showed is the other face of our being, the face that repudiates the murderer, the terrorist, the racist…the likes of Brenton Tarrant. I know that many people do not believe in altruism. They will offer all manner of reasons to explain it away, finding knotholes of self-interest that deny the nobility of Janusz Korczak’s final act. They are wrong. I have seen enough of the world to know that pure acts of altruism are rare — but real. And it only takes one such act to speak to us of our better selves. We will never know precisely what happened in those mosques targeted in Christchurch. However, I believe that, in the midst of the terror, there were people who performed acts of bravery, born out of altruism, of a kind that should inspire and ultimately comfort us all. Most of these stories will be untold — lost to the silence. Of a few, we may hear faint whispers. But believe me, the acts behind those stories are every bit as real as the savagery they confronted and confounded. And even when whispered, they are more powerful. Evil born of hate can never prevail. It offers nothing and consumes all — eventually eating its own. That is why good born of love must win the ultimate victory. Where hate takes, love gives — ensuring that, in the end, even a morsel of good will tip the balance. You might say to me that this is not philosophy. Where is the crisp edge of logic? Where is the disinterested and dispassionate voice of reason? Today, that voice is silent. Yet, I hope you can hear the truth all the same. 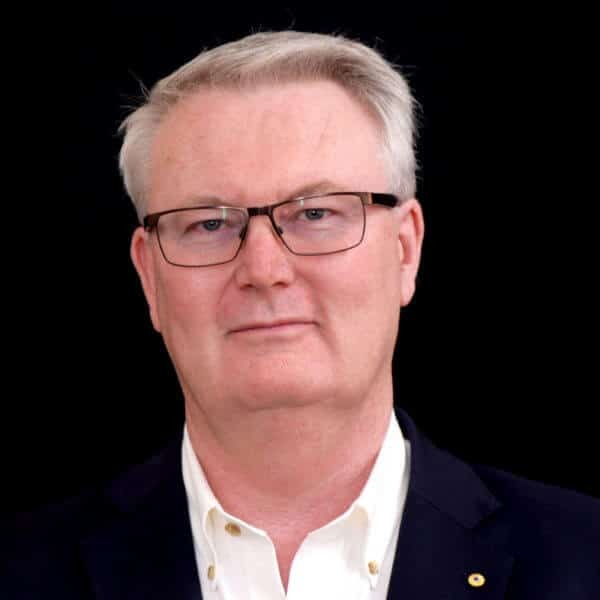 Dr Simon Longstaff AO is Executive Director of The Ethics Centre. Can we overcome hate with love? I would contest your premise that Korczak had nothing to gain. I think he may have had a lot to gain. He may have simply been overwhelmed/ exhausted/ depressed and committed suicide by Nazi. He probably believed in eternal life and therefore by sacrificing himself he believed he would guarantee his place in heaven. Going to his death knowingly may have been an easier option than doing what is necessary to survive and then living with himself afterward, with the knowledge and experience of what he did. It could actually be a very empowering act of bravery- as the Nazi’s ruled by fear- he may have become brave enough to overcome his fear of death. Thereby dissolving the Nazi’s power over him. In all seriousness, as he was living in the absolute hell with the complete destruction of his culture, family, society and experiencing the depravation of food, water, privacy, individuality, heat, plumbing- he may have welcomed death. And yes we can overcome hate with love, it may take decades or centuries and it is our only option. We simply have developed too much destructive power- and possess the ability to end human life on Earth- to allow hate to gain enough power so it can access these vary means of destruction.